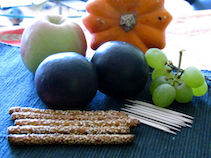 Little tricks and treats for your kids on Halloween day. 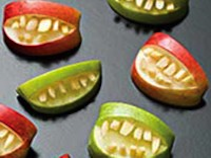 Here are easy Halloween recipes, healthier than all the rest. It’s a lot of fun!! 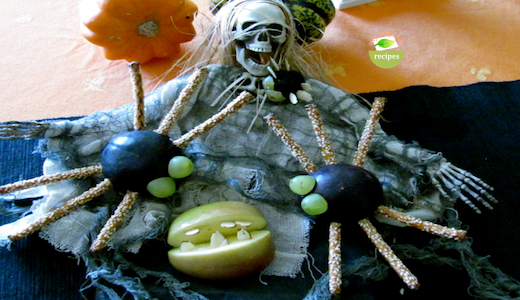 Poke 3 pieces of sesame sticks on each side of the black plums for spider legs. 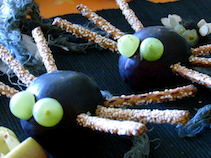 Use the sliced almonds to poke on half of the grape and on the plum for spider eyes. 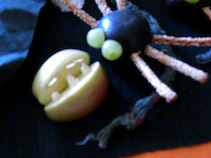 Core apples and cut them into quarters. Cut another section out of each quarter from the skin side. 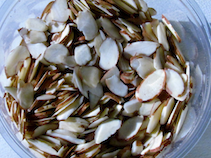 Take the sliced almonds and push them into the top and bottom of the opening to form teeth for your monster mouth.